Pressure switch model 693, from Euroswitch. A range representing a flagship for Euroswitch – based in Sale Marasino, Brescia, Italy – has been manufacturing electronic sensors for industrial use for over three decades and is increasingly gaining appreciation worldwide. The range of Euroswitch pressure switches has been upgraded over the years, thanks to the skills of its design and research departments and under the pressure of new requests from the markets, which has been asking increased demand for flexibility in the most varied sectors. 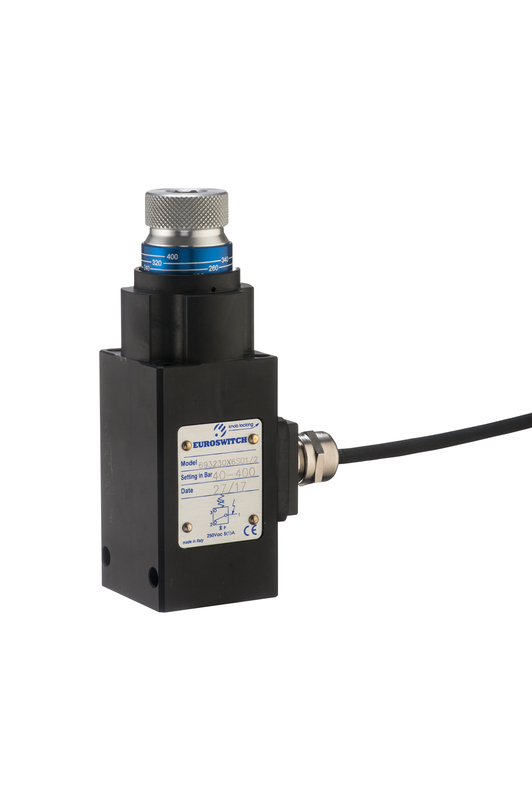 Pressure switches are available with adjustable or fixed setting (-900mb to 400 bar) and NO/NC or SPDT contacts, and the range comprises diaphragm or piston-operated pressure switches, pressure switches with adjustable or steady hysteresis, differential filter clogging indicators and vacuum switches, plus custom versions, in which the body, materials, wiring and other features are tailored made. IP54 and IP67 caps and connectors are available for all models. Among the devices designed specifically for pressure control (complete catalogue available on line at www.euroswitch.it), the Pressure switch model 692 deserves a special mention in that it features switching pressure regulation by means of a ring nut with an indexed ring nut and provides two fixing options in one product: with a Cetop plate and panel with a female G¼” fitting. Main technical features: regulation range 10-400 bar, with possible setting using a mechanical lock; a new high pressure sealing system; electrical connection with DIN 43650 IP68 connector and, as to the electrical rating, switching voltage up to 250V and current up to 5A. Novelty. 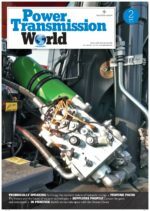 The latest comer is the Pressure switch model 693, now available as the wired version of the well-proven 692, which was conceived to provide answers to some applications where it is mandatory to avoid the entry of water and facilitate the electrical connection. The 693 is actually characterised by an output with electrical connection; among the advantages offered, worthy of note is an indexed regulation knob for easy setting. It also has an internal sealing system that can support maximum peak pressures (900 bar) and, like the 692, it has a double process coupling (either ¼ female coupling or Cetop plate with centre distance 31). The package comes complete with 4 socket fixing screws and a bonded seal. Like all pressure switches marked Euroswitch, this new technological development fully complies with the most stringent international quality and safety standards.